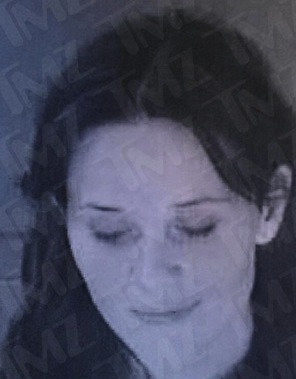 Southern belle Reese Witherspoon was arrested for disorderly conduct at 3:30 a.m. on Friday. The adorable actress was reportedly handcuffed because she refused to stay in the car after her husband and agent, James Toth, was pulled over for a DUI in Atlanta. Cops in Georgia are real douchebags. I mean, Reese is 5’1″ and couldn’t hurt a fly even if she wanted to. It doesn’t matter if she jumped out of the car with a machete yelling about severed heads. TMZ says she tried to play up her celebrity status, yelling “Do you know my name?” and “You are going to be on national news” to avoid getting in trouble. You do not simply arrest Reese Witherspoon. Her and Kristin Chenoweth are off limits. He should have just fed her a Snickers and ran.